Idaho cattle women have endured many changes in the past sixty years. From name changes, to structure changes, women in the cattle industry have always been resilient and progressive. 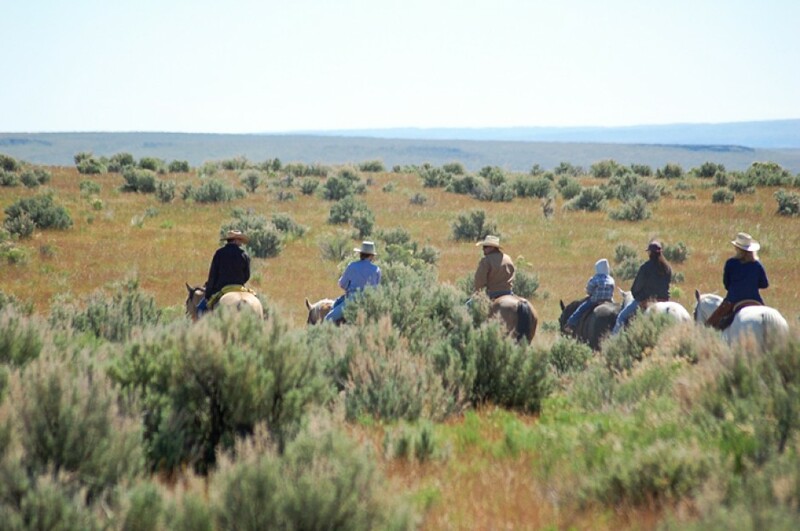 The following information was compiled from past Line Riders and excerpts from the Idaho CowBelle History Book, compiled by Mrs. Noy Brackett, Idaho CowBelle Historian, in 1966 and revised in 1974. The CowBelle’s organization began very simply, but with a definite purpose stated in these words, “to promote friendly and social relations among the cattle people and to cooperate for the best interests of our industry, community, and country.” That very first meeting was a luncheon at the 4 Bar Ranch near Douglas, Ariz., where Mrs. Ralph Cowan entertained 15 of her neighboring ranch women on October 17, 1939. The Idaho CowBelles was organized in 1946 at a meeting held at the Park Hotel in Twin Falls. At a tea given on the Mezzeznine of the Owyhee Hotel for cattlemen’s wives, the ladies were asked if they wanted to form an organization or not. At a luncheon the following day, Mrs. Ray Swanson, wife of the Idaho Cattlemen’s Association president, announced the majority vote of yes. Officers elected at that meeting were: Mrs. Adin Hall – President, Mrs. Seth Burstead – Vice President, and Mrs. Ralph Gedney – Secretary. Twenty seven ladies joined at this first meeting. Later that year, at the Idaho Cattlemen’s Convention in Twin Falls, the ladies met and accepted a set of by-laws and a constitution, which made the Idaho CowBelles an official organization. In April of 1948, the annual state convention was held in Boise, Idaho. Mrs. Seth Burstedt was elected as the President of the Idaho CowBelles, with Mrs. Amos Echert as Vice-President, and Miss Emmaline Nettleton as Secretary. Mrs. Hall presented Mrs. Burstedt with a copper cow bell instead of the usual president’s gavel and started the charming custom of calling the business meeting to order with the musical chimes of a cow bell. 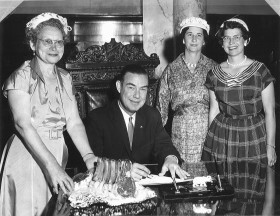 At first, the group was purely social, devoted mainly to sponsoring teas and luncheons for conventioneering cattlemen’s wives. 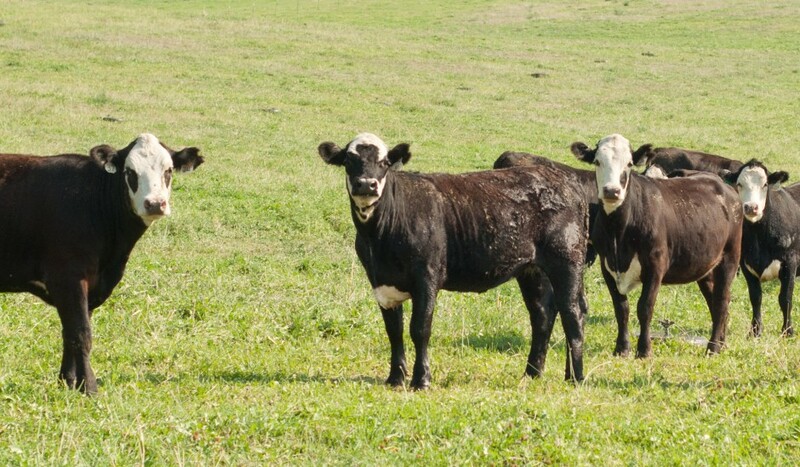 Then as the ladies realized the possibilities of accomplishment from working together, they became active boosters of the livestock industry and “More Beef on the Table” became their motto. 1958-Gov. 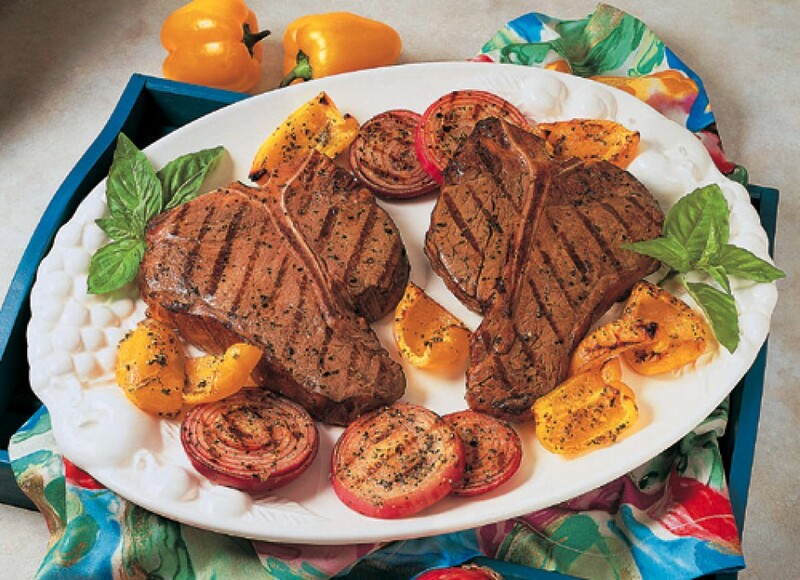 Robert E. Smylie joined with the Idaho CowBelles in proclaiming that this year’s Father’s Day meal should be BEEF. 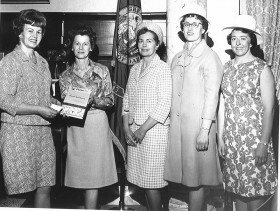 1950: Mrs. Amos Echert was elected president of the Idaho CowBelles. Mrs. Echert conceived the idea of giving a beef roast to the governor to help promote the use of beef and thus the “Beef for Father’s Day” beef promotion was born. As part of their beef promotion and public relations work, the Idaho CowBelles decided to provide a scholarship at the University of Idaho for a student in the Animal Science Department. The first scholarship winner was Clark Torrell, of Troy. The Kootenia County CowBelles were the first local CowBelle group to be organized in Idaho. A CowBelle quilt was made and cattlemen paid for the privilege of having their brands embroidered on it. Tickets were sold on the quilt and the profit went into the CowBelles’ treasury for beef promotion, with $400 donated to cattlemen. 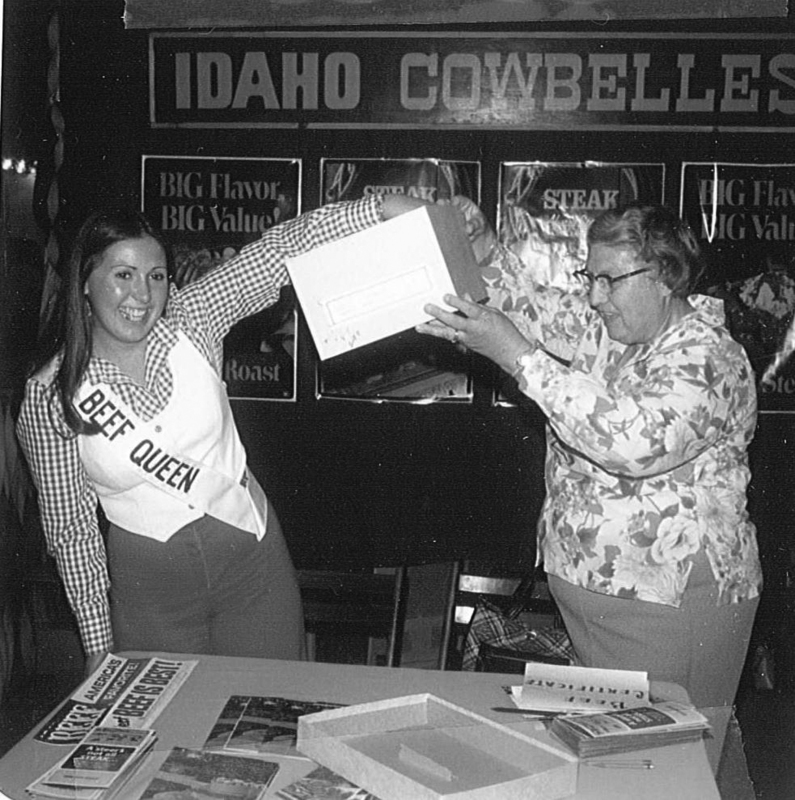 The Idaho CowBelles wanted to have more than a social organization, so they sponsored fair booths for beef promotion in various parts of the state. They also ordered Beef-Ker-Chief picnic napkins from Mrs. Harry S. Knight to sell as a fund raising project and to promote the use of beef. The American National CowBelles’ dues were raised from $1.00 to $2.00. The national affiliation fee was $10.00. 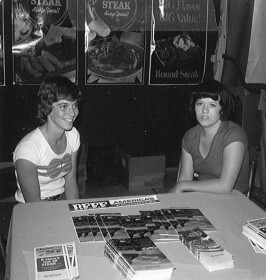 Cleo Shaw (left) and Tina Shaw (right) help promote beef at a consumer event. Laura (Larsen) Wilder helps draw the winner of a beef certificate at a consumer event promoting beef. 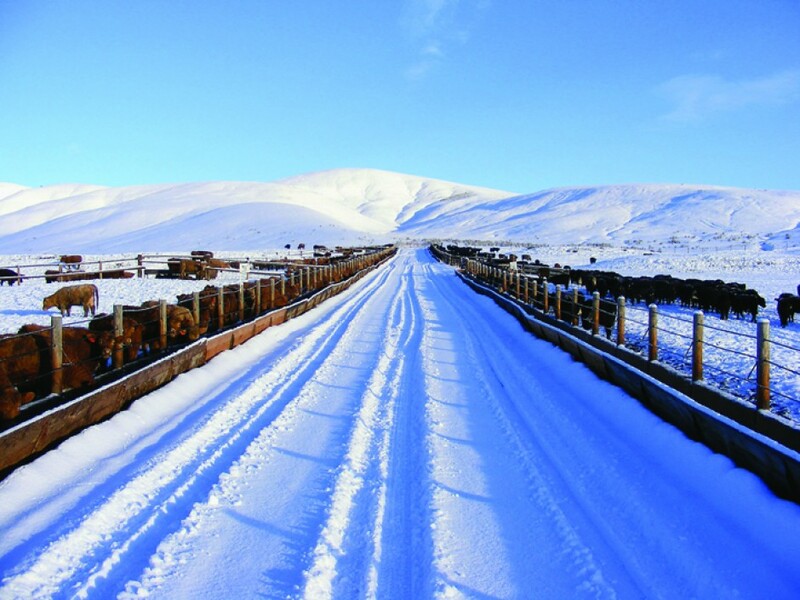 The first issue of the Idaho Cattlemen’s Magazine was printed and mailed to all members of the Idaho Cattlemen’s Association. The Idaho CowBelles were given a page for their news. The Idaho CowBelles celebrated 20 years as an organized group. Membership had grown to 521 members, with 125 of them belonging to the American National CowBelles. There were 18 local state groups active. Anita Hayes, President-Elect of the Idaho CowBelles, along with 18 other CowBelles from Washington, Idaho and Montana, made a TV appearance to promote beef and explain the work of the CowBelles. Senate Bill 160 created a seven man “Idaho Beef Council” and provided financing for the Beef Council work of education, beef research, and public relations, through a ten cent per head charge collected by the Idaho State Brand Department at the time of brand inspection when there was a change of ownership. NOTE: A little girl asked why the group was named “CowBelles”. A veteran cowman replied, “Why honey, a CowBelle is something we have in the beef business to make a lot of noise.” CowBelles do generate quite a lot of publicity! 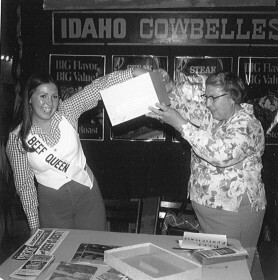 Ethel Stringfellow wrote, “This year is our 25th Anniversary Year and Idaho CowBelles are to be commended for the way they have developed from a social group to a working association to aid the beef industry.” On the national level, the image of the word “CowBelle” was questioned. It was suggested the name be changed to Cattlewomen. The change was voted down. 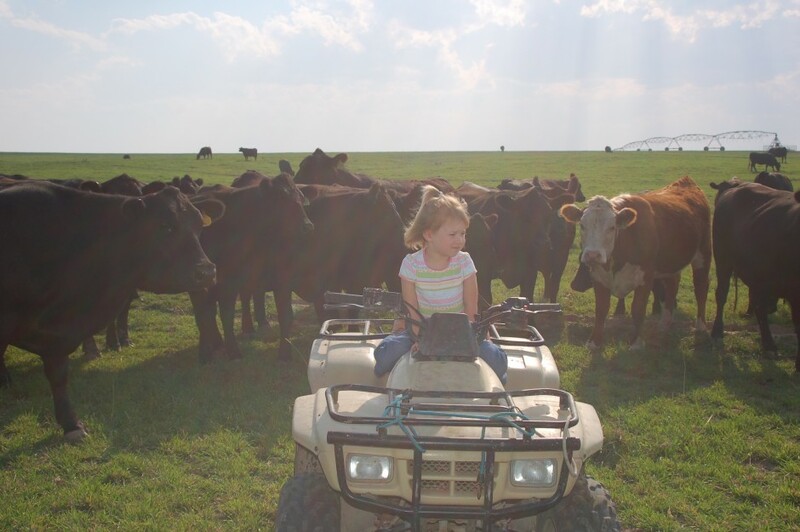 The Beef Education Program reached approximately 3,500 girls and boys in approximately 160 schools around the state. 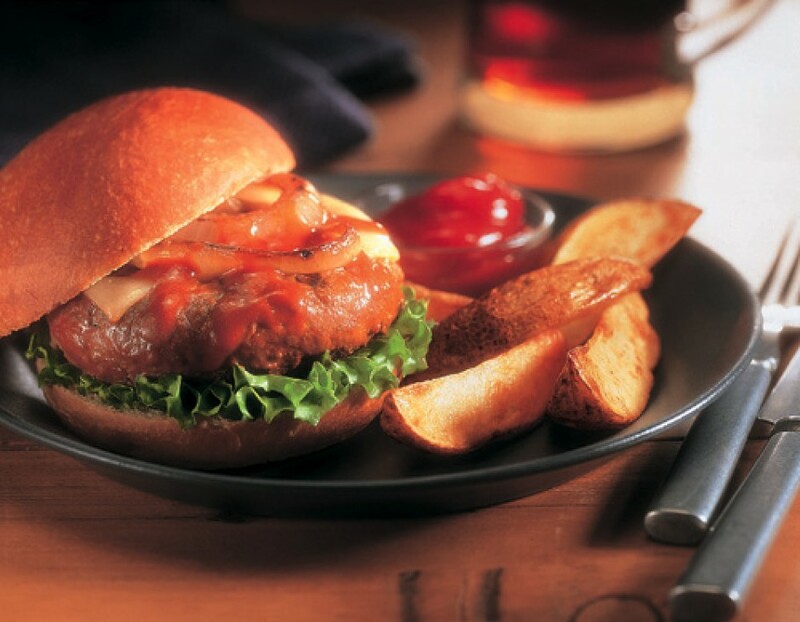 The money that was provided by the Idaho Beef Council (IBC) enabled students to practice cooking with beef in the classroom. Educational kits, also supplied by the IBC, gave a full range view of the entire beef industry, aided by films. 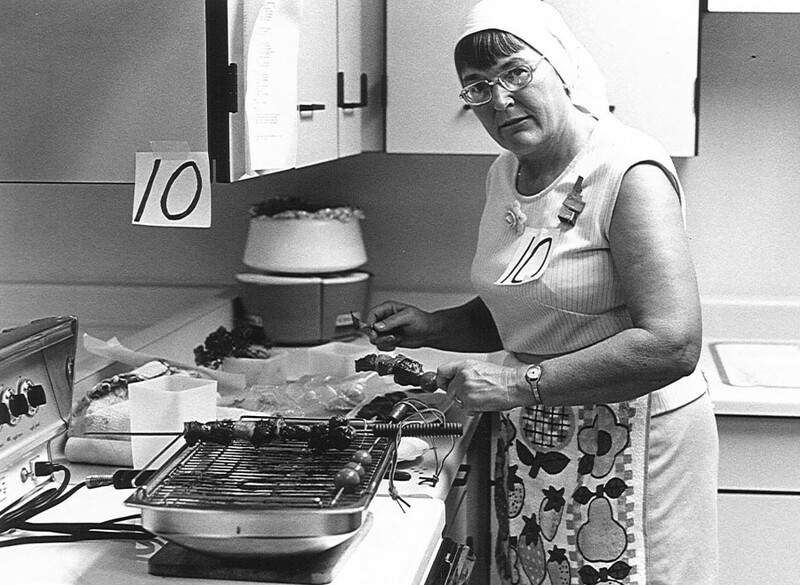 CowBelle members also did classroom cooking demonstrations. 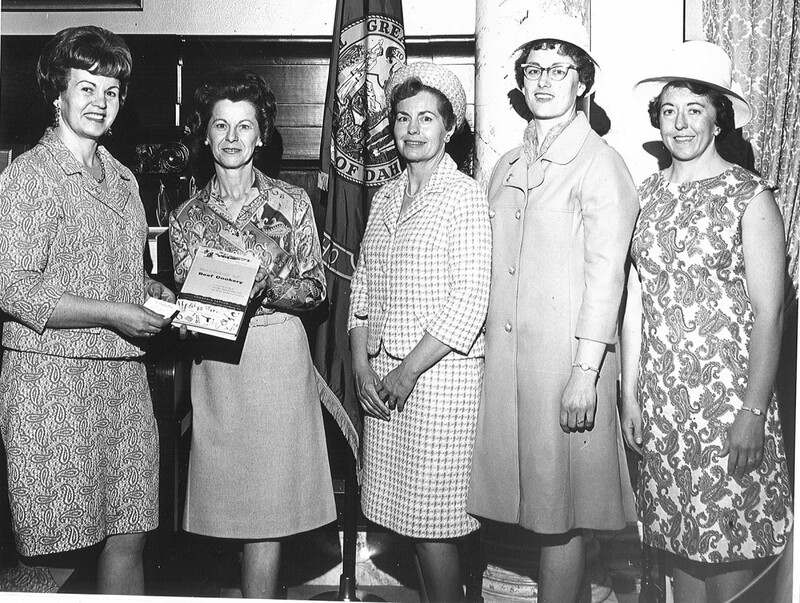 During the 1980’s, the Idaho CowBelles changed their name to the Idaho Cattlewomen. At the November 1996 annual convention, the Idaho Cattlewomen brought a resolution before the ICA for consideration of being a council under ICA. At the Midyear Meeting in 1997, the resolution regarding the proposed merging was discussed again. The resolution was revised by an ICW committee consisting of Jennifer Ellis, Joyce Banks, Grace Smith and Luisa Munsee. Their findings were presented to the membership. After discussion, it was decided to have the committee draft a proposal for merger to present at ICA at their next executive meeting. In 1997, the Idaho Cattlewomen and the Idaho Cattle Association were officially “linked” together and started working towards a common goal. Chairman Grace Smith wrote, “This is a major step for our two organizations and one, I feel, in the right direction. This trial period will be a time of many questions and problems that need to be worked through. But I welcome your help, ideas, questions, and participation.” The two-tiered dues structure was outlined: ICW Council members could pay $15 and participate and vote in ICW meetings only, or they could pay $100 and become ICA members, eligible to vote and hold office within the ICA. To add ANCW to the ICA/ICW dues was $125. The existing ICW committees would become sub-committees of ICA committees. 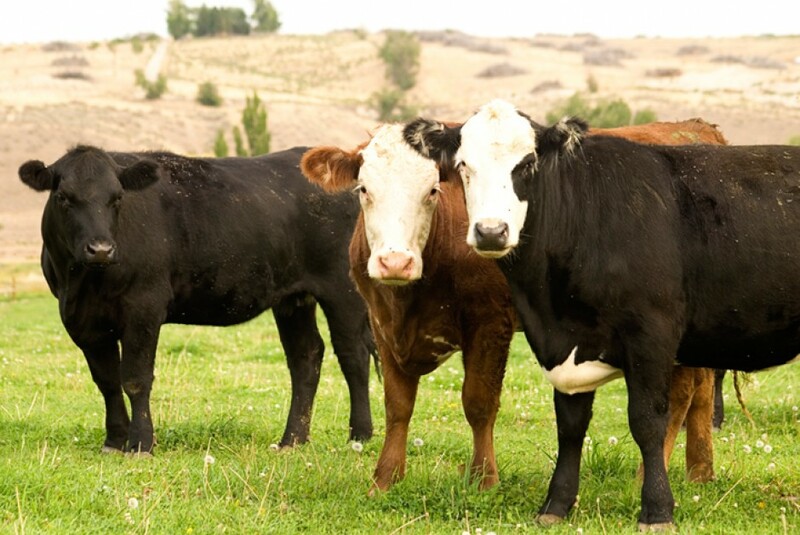 At the 1998 annual meeting in Idaho Falls, the Idaho Cattlewomen and the Idaho Cattle Association voted to finalize a merger between the members of their two organizations. The ICW would now have a council within the ICA membership structure and would be represented with a designated seat on both the ICA Executive Committee and the ICA Board of Directors. An ad hoc auxiliary to the ICWC was also formed. It was called the “CowBelles” and was made up of all members, with an advisory panel of all past presidents and officers. Joan Tugaw was elected as the 2001 contact person for this ad hoc committee. The purpose of the committee was to serve as the nominating committee, as well as the planning committee for such activities as luncheons, programs, door prizes, saddle ticket sales, scrapbooks, and aid the staff during conventions. They would also arrange an ICW meeting in each of the five districts. 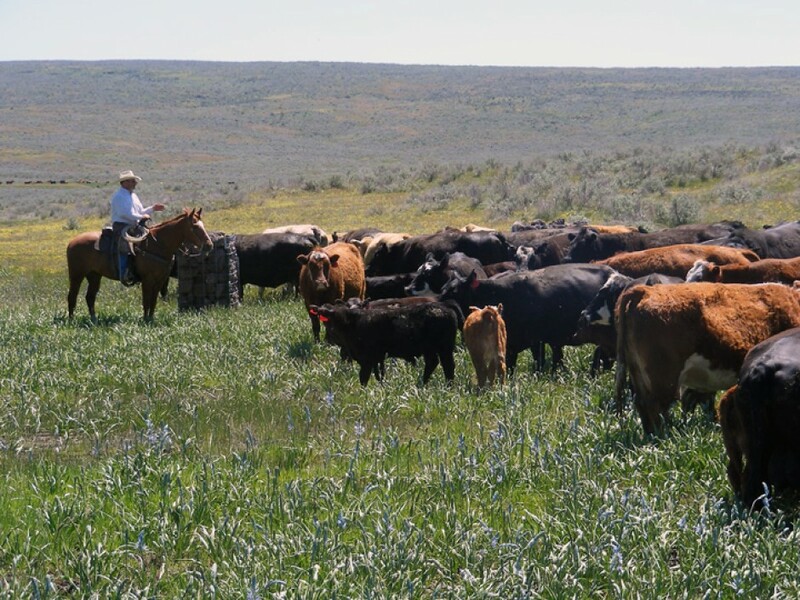 They assisted the project chairman and district directors with the Beef Ambassador Program, did follow up on the Beef Education Program that was administered by the Idaho Beef Council (IBC), and assisted with the Legislative Action Network. The Student Idaho Cattle Association (SICA) from the University of Idaho (UI) adopted a new position to their officer team in 2002. An ICWC representative was elected to help keep members up-to-date on the activities and events of the ICWC and serve as a liaison between SICA and ICWC. John Ricketts, Jerome, was elected to fill the position. Three resolutions from the ICWC were adopted by the general membership on Nov. 21, 2002. (1) The Idaho Beef Gift Certificate Program, (2) Idaho Beef Program, and (3) ANCW were the first resolutions on the books for the newly formed Idaho Cattlewomen Council. These resolutions were re-affirmed in 2005. As you can see, women in the beef industry in the state of Idaho have come a long ways! I hope you have enjoyed reading the history of the cattlewomen and hope you have learned something about this great organization and the huge strides they have made. Article written by Sarah Baker. Appeared in the February 2007 edition of the Idaho Cattle Association Line Rider.